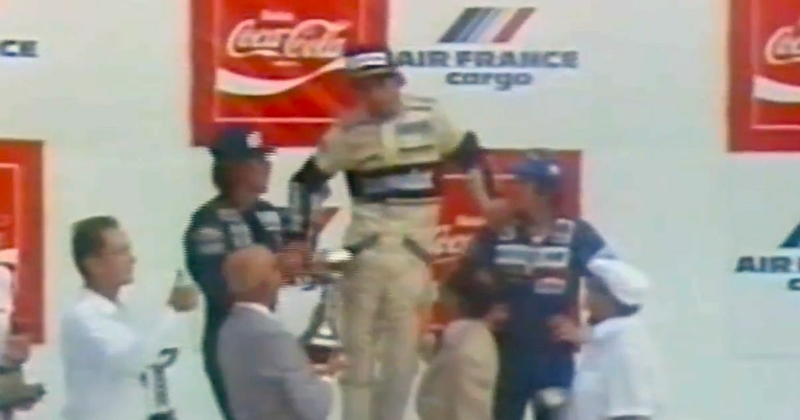 The combination of searing temperatures and the intense physicality of the ground effect cars meant that race winner Nelson Piquet was so worn out at the end of the race that he could barely make it to the podium - and when he did get there, he collapsed from sheer exhaustion. He’d driven a fine race - Brabham teammate Riccardo Patrese withdrew for physical reasons at half-distance - as Piquet had to see off early leader Gilles Villeneuve and a hard-charging Keke Rosberg (who ended up second). However, all that effort would turn out to be for nothing. Rules at the time stated that cars were allowed to be topped up with fluids at the end of a race before being weighed and so the Cosworth-powered teams (which Brabham and Williams were two of) came up with an ingenious solution to keep them competitive against the rising performance of the turbocharged cars. Teams fitted huge tanks of water under the guise of brake cooling, though the reality was the drivers would simply dump all the water out at the start of a race, allowing the cars to run underweight throughout the event before being topped back up to a legal weight at the end of the race. Although this was technically allowed, a spat between two organisations - FISA, which generally represented the manufacturers, and FOCA, which covered the independent, Cosworth-powered teams - got in the way of the result. FISA decided that this water ballast gambit was illegal and disqualified Piquet and Rosberg from first and second, ‘coincidentally’ awarding Alain Prost and Renault the victory. 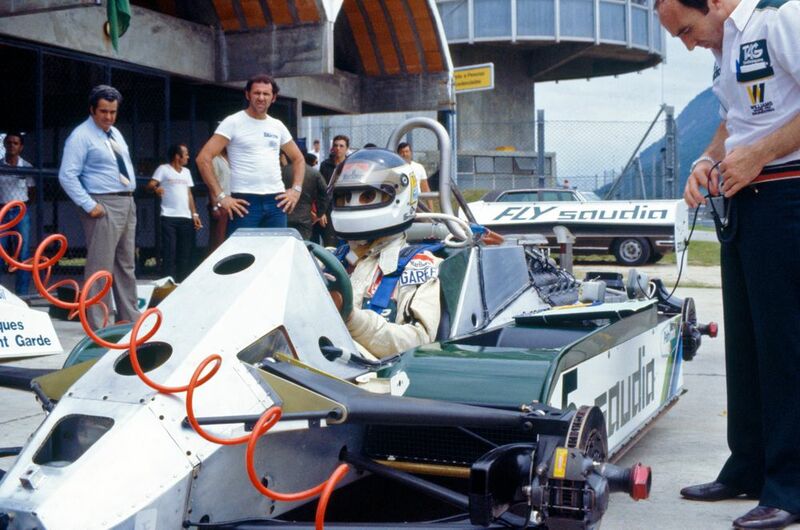 None of the other teams running the water-cooled braking system was disqualified and after Brabham and Williams lost an appeal to have the result overturned, all the FOCA teams decided to boycott that year’s San Marino GP. 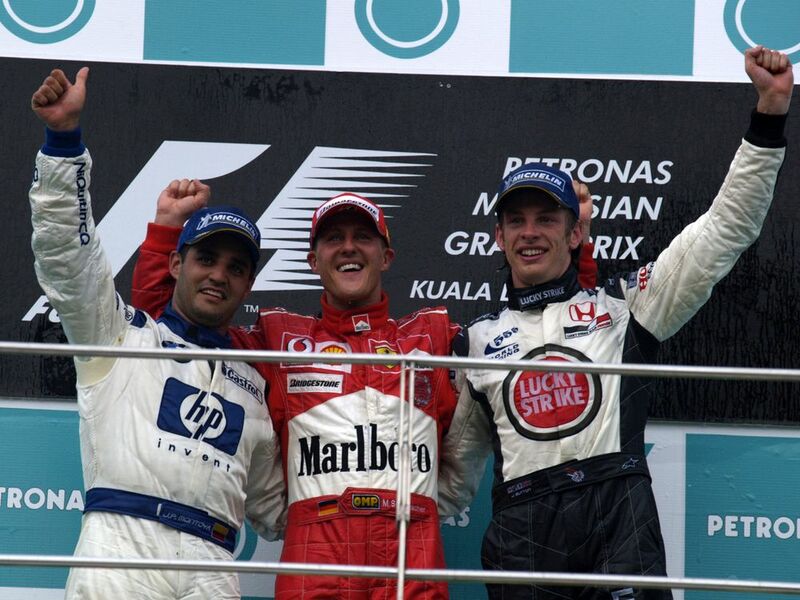 There was nothing especially exciting about another win for Michael Schumacher with Juan Pablo Montoya second, but there was plenty of joy for Jenson Button, who finally managed his first podium after coming close on a few previous occasions. Fernando Alonso had an incredible opening lap to go from 19th to 10th but couldn’t make much more progress in the race, only ended up seventh for Renault. George Abecassis (born 1913) started two races for his own HWM team - the Swiss GPs of 1951 and 1952 - but retired from both. Ken Wharton (born 1916) finished fourth on his debut in the 1952 Swiss GP, the only points-scoring drive in a 15-race career lasting until 1955. Paco Godia (born 1921) started 13 races between 1951 and 1958, his best results being a pair of fourth places for Maserati at the end of the 1956 season. 161 starts, 41 wins, 65 poles, three world championships. The numbers alone are impressive but for Ayrton Senna (born 1960), it was the way he went about his racing which left an impression. On sheer speed and driving ability he’s probably never been matched, and his uncompromising approach can be said to have inspired the way Michael Schumacher - and subsequently every other top driver - approached their driving. Sometimes, that went too far - the deliberate, pre-meditated decision to punt Alain Prost off to win the title in 1990 has to be up there as one of the worst driving actions in F1 history. But as with most F1 greats, the low moments do little to impact the many, many brilliant ones, and Senna certainly had his fair share of jaw-dropping drives - especially if it was wet. He’d have had many more, too, but for his death at Imola in 1994, which triggered an enormous safety crusade in the sport. 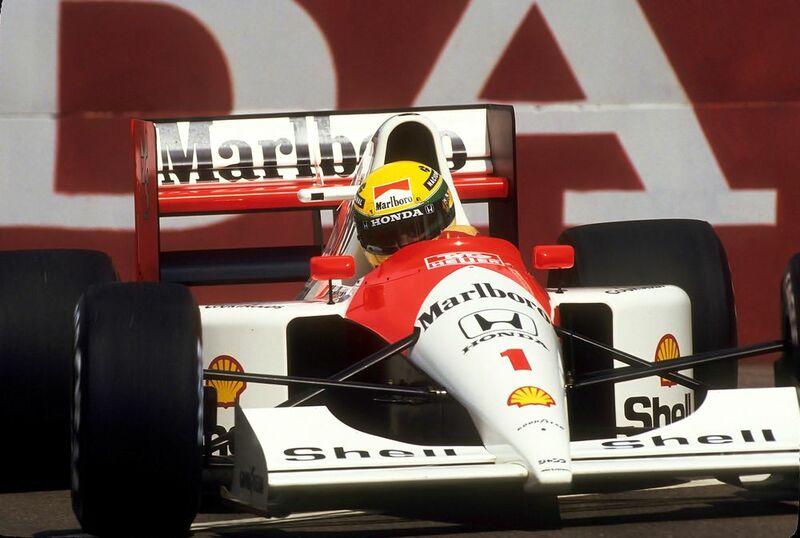 A Brazilian national hero and philanthropist, few drivers have had as much of a cultural impact as Senna did. To many, he’s the greatest of all time.